Romo is a highly functional robotic toy that uses your smartphone as its brain. 1,152 backers pledged $114,796 to help bring this project to life. We're Romotive, a.k.a Peter Seid & Phu Nguyen. Growing up, we were infatuated with robots from TV and movies. We wanted robots that we could play with and command. So we spent our allowances on all things robot; from components, to kits, to fully assembled machines. But still, none of them had laser beams on their heads. Now we're grown up (sort of), and you still can't buy the robots we spent our childhoods dreaming about. So we decided to do something about it. We intend to make the robots we always wanted ourselves. And with your help–we will. Romotive builds accessible, highly functional, and flexible robotics platforms that are powered by a supercomputer already carried by millions–the smartphone. Our robotics platform adds everything that the smartphone is missing–movement, accessories, and physical capabilities that a true robot needs. But unlike the lame single-purpose machines out there for sale today, our robots will also be able to learn, grow, and change, both by adding new hardware modules to the platform, and more importantly, by bring to people everywhere a true "app store" for robots, where robots can quickly gain functionalities based on the app they are running (and you can even code your own). We’re only scratching the surface of what is possible with smartphone controlled devices. With your support, we will have the opportunity to pursue bigger and bigger ideas. 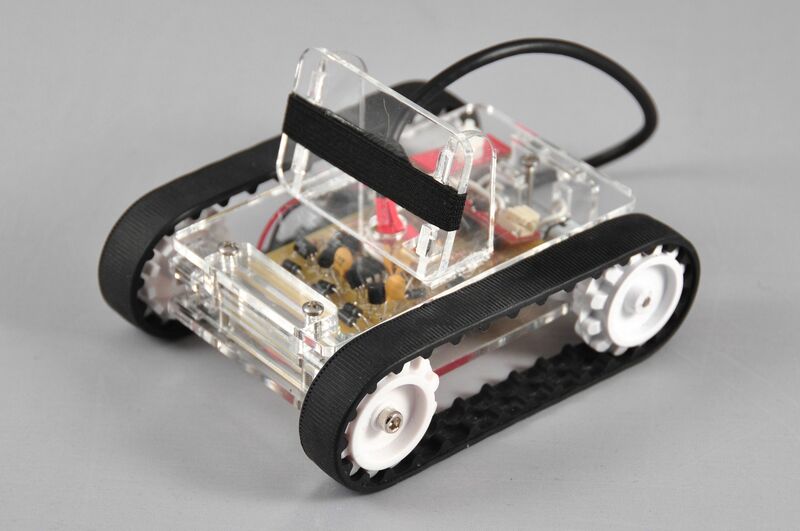 We need your help to produce the first batch of robots! With a pledge of $78 or more, you will be one of the first to own your own smartphone-powered robot! As supporters, you are helping launch the next-generation of robots in our homes. We're starting with smartphones (iOS and Android) because the app ecosystem and SDK for these mobile devices allow for amazing things to be built for robots and will allow you to download new capabilities for your robot in the future. Starting with a pledge of $78 or more, you'll get: !!!!! 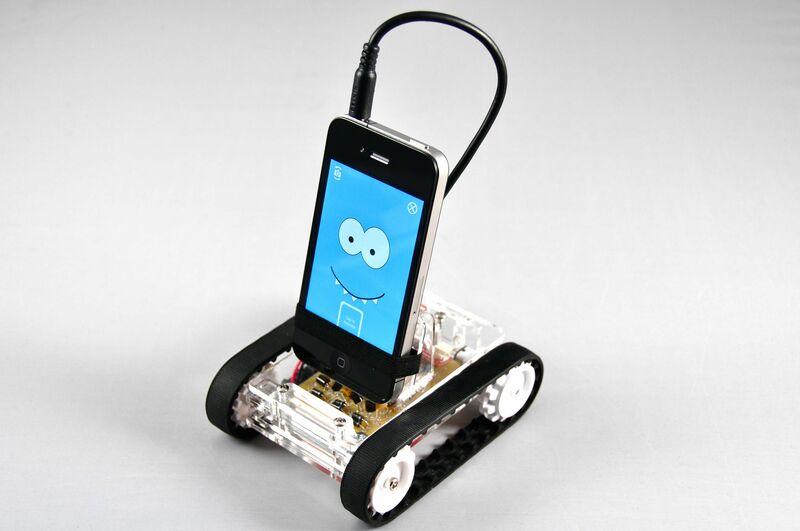 A fully assembled iPod Touch or smartphone-powered robot! We call him "Romo" (obviously the smartphone is not included). !!!!! Just take him out of the box, download the apps, and go wild! Romo will come pre-charged. 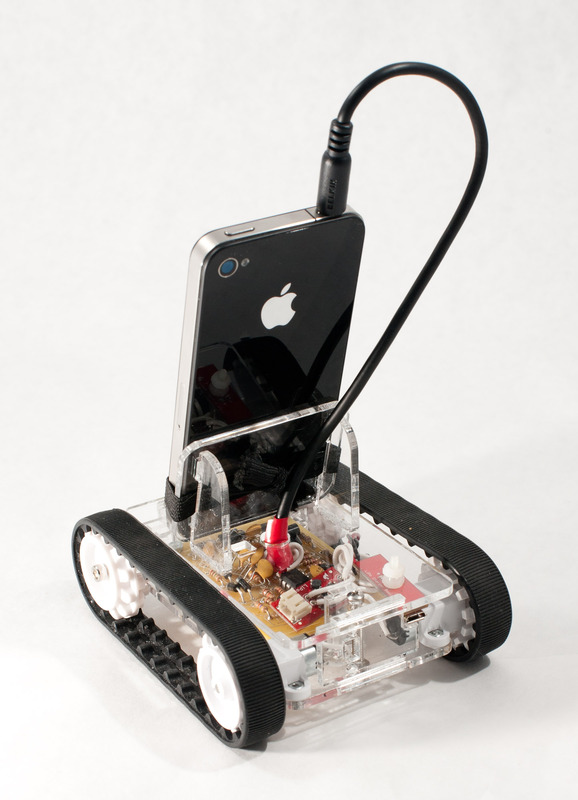 A motorized, acrylic base with an accessory port that can be controlled by any smartphone (or iPod Touch). Romo Kart: Race against your friends in a mixed-reality version of the classic Mario Kart game. You can send digital attacks and have your friend’s robot spin out of control. You can also disable their power, deflect bombs, and reverse their controls as you race towards the finish line! Drag and Drop Programming Module: You can program Romo right on your smartphone and watch him execute your commands. Features of the drag and drop programming app includes: movement, conditional statements, loops, and reference to other functions. *Note to software hackers: We're working on iOS / Android libraries and documentation. We think the power of the robot is only limited by software you can make for the smartphone. We’ll be making an SDK that will make it easy. No more embedded programming. We're super excited to bring the robot you've always wanted into the world. With your help & pledges, we can make this a reality! See more of our videos at: romotive.com! Declare your love for robots with your own Romotive logo button! One Romotive 'I Heart Robots' T-Shirt to wear while you wait for your robot to arrive! We'll send you one Romo smartphone robot! Add $12 for shipping outside of the US. Party Pack - Get Two Romo smartphone robots. Race them, battle them with a friend! One limited edition Romo smartphone robot-- lasered engraved, numbered from 001-100 and will arrive in time for Christmas! Included in the package is our “I heart Robots” t-shirt and a thank you letter signed by the makers, Peter and Phu. We'll send you three Romo smartphone robots! If you want more than three, add $70 for each additional robot. Add $24 for shipping outside of the US.